We are excited to announce that the president of Responsive Home Care, Debbie Savage, has been named to the board of directors of the South Florida Institute on Aging (SoFIA). SoFIA is a non-profit organization that creates planning and development strategies to deliver socio-economic support programs for seniors throughout South Florida. Click here to read more. With Debbie’s background in nursing and her extensive experience caring for seniors in South Florida, we know that she will be a unique asset to the SoFIA board. In an ideal world, medical care would revolve around you and your own preferences, adhering to your particular needs and wishes – fitting into your schedule and routine, unhindered by problems such as an unwavering medical professional who views healthcare choices in black and white. Reality is far from perfect though, and the majority of us tend to submit to doctors’ orders without any concept that there might be a better-suited choice. With some knowledge, however, patients can, in fact, take a more proactive stance regarding their healthcare. 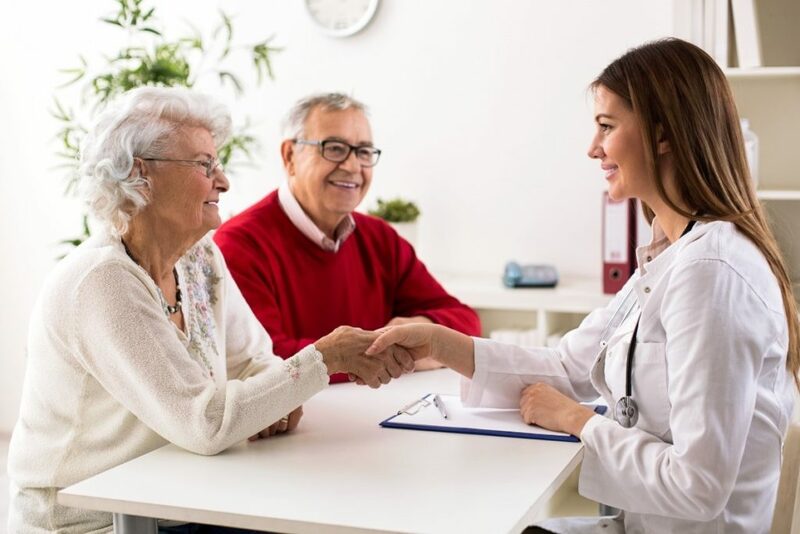 Recognized as “person-centered care,” it involves medical professionals working in collaboration with patients and any other family or care providers they define, taking into consideration the patient’s preferences, values and goals, and making use of that information as a guide throughout all areas of care. Think about your healthcare objectives, and write this information down to share with your medical practitioners. And, ask that medical personnel include these goals in your health records. Become well-educated in your own health conditions and needs, and just how they’re impacting your everyday life. As an example, are you having to deal with challenges with any sort of routine activities of everyday living, such as taking a bath or getting dressed? Are you struggling with particular types of movements, such as lifting or bending? An excellent assessment tool is available here. Be sure that discussions with medical professionals are two-sided. Fully engage in a conversation to ensure your concerns are addressed and that you understand any potential side effects or other risks of treatment recommendations. Should you have a number of medical doctors (for example, a primary care doctor and one or more specialists in a variety of practices), confirm that communication is taking place among all. This could necessitate requesting that documentation be shared between providers, and then following up to ensure that’s been accomplished. Include a trusted family member, friend, or professional in-home caregiver, such as Responsive Home Care provides, in all healthcare appointments. Having another individual around to jot down notes, answers to questions, and any other pertinent information helps make sure that no balls are dropped. For additional advice, and for a partner in care to help make certain the elderly and their loved ones have a voice in their care needs, contact Responsive Home Care’s South Florida home care experts. We’ll provide accompanied transportation to treatments and appointments, pick up prescription medications and run other errands, cook healthy and balanced meals, and so much more. Call us at 954-486-6440 for help and support. Someone with rheumatoid arthritis often suffers from debilitating pain in different joints and muscles in the body, particularly in their hands. The pain can become so intense that even picking up a pen can be difficult. Someone with rheumatoid arthritis can especially benefit from having an elderly care provider assist them at home with all of the tasks that have become too difficult for them to do. If your elderly loved one is looking for some relief from their RA pain, hand exercises may be exactly what they need to do. The following exercises will keep the hands strong and pain-free. Folding fingers. Bring all of the fingers together in a loose fist. Then, open the hand slowly, repeating this exercise a few times. The best time to try this activity is when the hands are warm during a shower or with a warm, damp washcloth placed over the hand. Walking fingers. A kitchen or hand towel should be placed on a table in order to do this exercise. The hand should then be lightly cupped, with the fingertips and thumb supporting the entire hand. The elder can “walk” their fingertips and thumb towards them, trying to lift the towel into their palm. Once they are able to get as much of the towel in their hand as possible, they should try to gently squeeze it. Thumb to base of fingers. Keeping the thumb strong is important because most hand motions require the use of the thumb. For this exercise, the elder should try to touch the base of the little finger with the thumb. This can help strengthen the grasp for your loved one, making it easier for them to pick up certain objects. Spread fingers. It is important that the elder is able to spread their fingers apart for a number of hand motions, such as putting on gloves. To do this, spread the fingers apart in a slow and gentle manner. Once the hand is flat, the senior can also exercise the thumb by separating it from the other fingers. Finger pinches. Pinch the thumb to the tip of each finger in order to make doing daily activities easier, like tying shoelaces. The most important fingers that should be “pinched” by the thumb are the index finger, long finger, and side of index finger. These exercises are very simple and can be done with elderly adults of various physical abilities. Talk to the elder’s doctor for more tips on helping your loved one relieve their rheumatoid arthritis pain. If you or an aging loved one are considering Elderly Care Services in Lauderhill FL to provide companionship, compassion and motivation, please contact the caring staff at Responsive Home Care. Call today 954-486-6440. Transitioning your elder loved one into living in your home with you and your family is a fantastic way to ensure that they get the level of care that they need and deserve throughout their later years. This allows them to be close to a caregiver at all times, eliminating the challenges of distance caregiving, and gives you confidence that they will be in an environment that is safe, healthy, and comfortable. Moving your parent into such close proximity with you and your family, however, can cause some awkward situations if you do not prepare for them ahead of time. One such situation is when your elderly parent attempts to discipline your children or questions how you are raising them. By taking the time to establish boundaries about your children before your parent moves in, you can help to reduce the risk of such situations and make your living situation much more comfortable and beneficial for everyone involved. • Their privacy. Make sure that your parent understands and is willing to respect your children’s privacy. This means recognizing which areas of the home are for your children’s use exclusively and when your parent is and is not permitted in those areas as well as the fact that they should knock or ask permission to enter. • Discipline. This is a very personal issue that you will need to discuss with your partner and come to decisions about on your own. It is important for you to be very clear with yourself as well as your parent about how much input on disciplining your children you are willing to welcome from your parent. Are they permitted to correct your children or give them punishments, or do you want them to not have any impact on their discipline at all? • Parenting style. It is very likely that your parenting style is not exactly like that of your parent. You might have different philosophies, beliefs, and tactics from your parent, and these might be uncomfortable for your parent. Discuss these with them and make sure that they understand that you are not going to change your parenting style and that you are not open for discussion about it. For example, tell your parent that your family does not sit down for dinner at the table at the same time each night and that your children are permitted to eat snacks in their rooms even though you were not, and that you will not be changing that approach now that they are living with you. Elder care can make a tremendous difference in the life of your elderly parent as well as your life as a family caregiver. The personalized services of a elder home care services provider mean that they will be with your loved one on a customized schedule tailored specifically to the needs, challenges, and limitations of that aging adult. This means that your parent will get everything that they need to stay safe, healthy, and comfortable, while also ensuring that they can remain as independent as possible as they age in place. As a family caregiver this can give you greater peace of mind knowing that they are in good hands whether you are able to be with them or not. 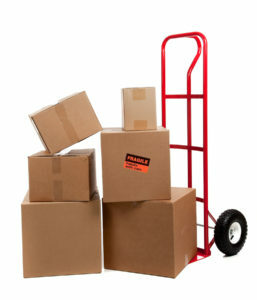 Even if your loved one has moved into your home, the services of an elder care provider mean that you can focus your energy and attention on the other aspects of your daily life, including taking care of your children, managing your home and your marriage, and keeping up with your career, as well as having time for yourselves. If you or an aging loved one are considering Elder Care Services in Plantation FL to provide companionship, compassion and motivation, please contact the caring staff at Responsive Home Care. Call today 954-486-6440. There’s nothing better than sitting around the kitchen table with those you love the most, reminiscing about the time Aunt Sally dropped the Thanksgiving turkey right onto Grandma’s lap, that incredible family vacation in Hawaii, or the day little Charlie hid a live toad in the china cabinet. But when the conversation turns to something controversial, like the possibility that an elderly parent might need to consider a different living arrangement or giving up the car keys, that feeling of camaraderie can become one of defensiveness instead. Ensure your concerns are valid. Observe for yourself whether an elderly loved one truly is struggling in a particular area, rather than relying on hearsay. Maintain a tone of caring support. Confrontational negativity will reap a far different result than an approach laced with love and concern. Use reflective listening techniques. Rephrasing what you’ve heard a loved one say confirms that you were listening and validates his or her feelings. Allow a dialogue. Rather than just stating your concerns, invite the senior to share his or her input and observations, and incorporate his or her desires, provided they do not compromise safety. Include others. A particular friend, family or clergy member can help mediate the discussion and provide a more trusted perspective in the eyes of your loved one. Learn more family conversation strategies, courtesy of AARP. Can We Slow Down Aging with a Pill? Perhaps one of the greatest quests throughout the ages has been in trying to discover that elusive “fountain of youth.” What if, however, the answer lies in a simple, generic medication already widely available, with the potential to extend human life to as much as 120 years? Believe it or not, the FDA has recently approved a first clinical trial of metformin as a medication to slow the aging process. The Targeting Aging with Metformin (TAME) study is, at this point, held back by one crucial element: funding. With a projected price tag of $65 million to facilitate the 6-year study of 3,000 volunteers, it’s a gamble none of the big pharma companies have yet been willing to wager. An even bigger consideration may be whether we, as a society, consider aging to be a disease in need of a cure; or, if it’s possible to embrace aging for the benefits it inherently offers: a lifetime of achievements, lessons learned, wisdom gained, and relationships forged. At Responsive Home Care, we cherish and value each of the individuals in our care, regardless of age, and are devoted to celebrating the joys we discover together in each new day! 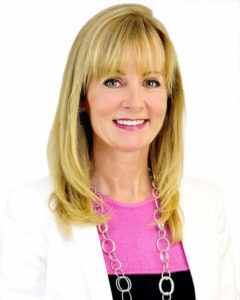 Debbie Savage, RN, BSN, President https://www.responsive-homecare.com/wp-content/uploads/2019/03/rhc-logo.png Debbie Savage, RN, BSN, President2016-02-26 16:51:132016-02-26 16:51:13Can We Slow Down Aging with a Pill? Recent data is both startling and disturbing: seniors who suffer from loneliness and isolation are twice as unhealthy as those who are obese, and have a 14 percent greater risk of dying earlier than those experiencing normal socialization. And with as many as 20 to 40 percent of older adults reporting feelings of loneliness, we need to pay particular attention to this dangerous trend. It’s important to note that preventing loneliness involves more than simply providing people for lonely seniors to interact with, although that is important. It is also a matter of reshaping their negative sense of self-worth and how others perceive them. Hiring a professional caregiver from a reputable home care agency like Responsive Home Care can go a long way towards fostering feelings of belonging in lonely seniors. Contact us to learn more about the health and quality of life benefits that can be realized through a caregiver-senior bond.